How to Play the French Defense! 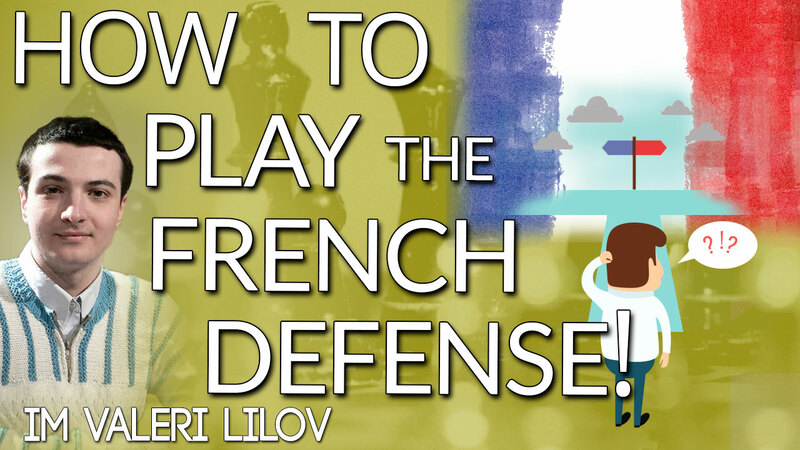 The French Defense is one of the most trusted openings in chess, popular at all levels from beginner to elite GM. Black’s timid-looking 1…e6 actually hides many deep ideas and White can come undone very quickly if they are not careful. Let me help you understand this fantastic opening at a whole new level! 1) How to handle the so-called “problem piece” in the French Defense, the light-squared bishop that’s blocked in by Black’s very first move. 2) IM Lilov’s favorite method of meeting the popular Advance variation (1.e4 e6 2.d4 d5 3.e5) – a surprising move that will cause White no end of headaches! 3) The most powerful ways to break out of the cramped position and overwhelm your opponent with an unstoppable central pawn phalanx! Valeri’s recommendations against each of the 3rd move variations you’re likely to see over-the-board. Whether you want to learn an opening you can rely on for years to come or you already play the French and just want some new ideas, make sure you join me for this great training on Saturdays!